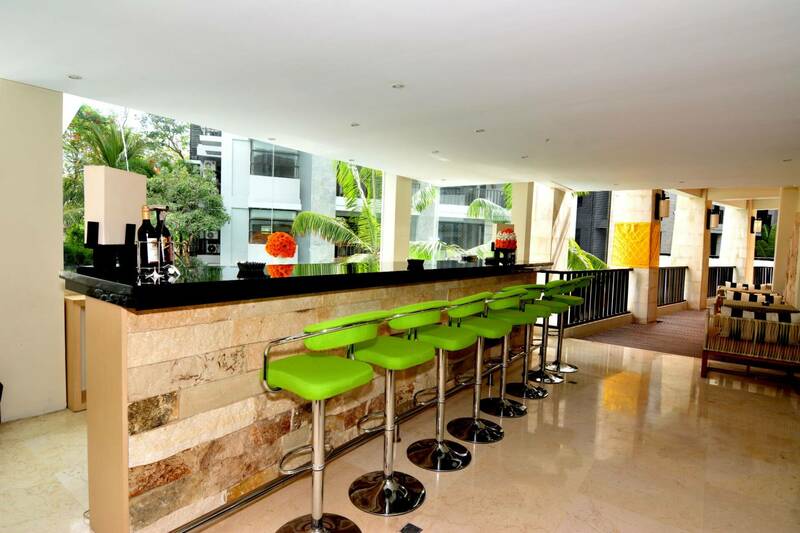 Contemporary Styled Bar Serving Preferred Beverages. Cuisine Type: Eclectic menu of light bites, pastas and pastries complemented by an impressive selection of gourmet coffees and excellent whiskeys. From tropical cocktails and cold beers to gourmet blends of coffee, our Lobby Bar serves a full range of beverages for the pleasure of all in-house guests. The Lobby Bar provides a great spot to relax and enjoy your preferred beverage. It is close to the main swimming pool and serves a range of refreshments to beat the heat of the day. Inspired by the availability of tropical ingredients, our team of bartenders conjure up creative cocktails that embody the laid-back vibe of island living. The Lobby Bar also goes to great lengths to satisfy all taste preferences with an extensive menu that includes selected wines, icy cold beers, premium spirits and exotic juices. From its elevated position, Moonsun Restaurant & Bar offers sweeping views over south Bali with the silhouette of Mount Agung visible on clear days. It is a versatile space bathed in natural daylight with a shady outdoor pavilion offering comfortable lounge seating. This smart dining venue serves a delicious menu of urban Asian cuisine driven by the availability of island-fresh ingredients. Meals can be paired creative drinks prepared by our resident mixologist.